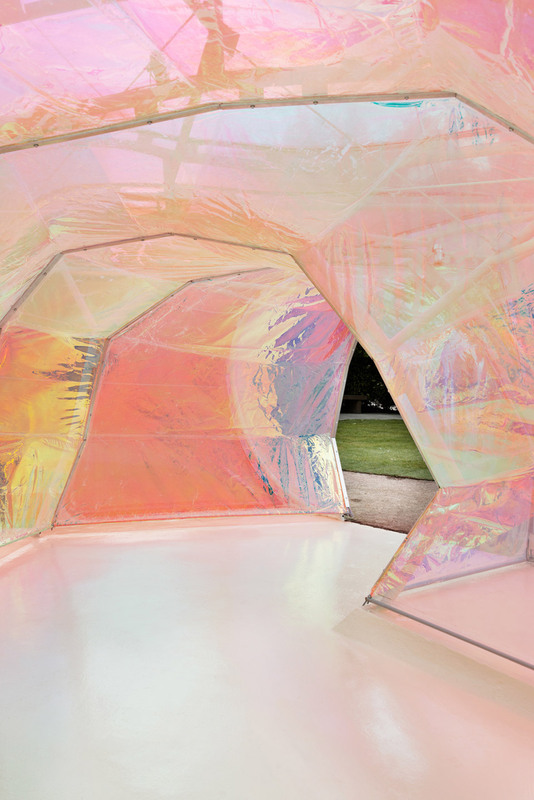 Serpentine Galleries celebrates the 15th anniversary of the Pavilion commission with Spanish artists Selgascano. 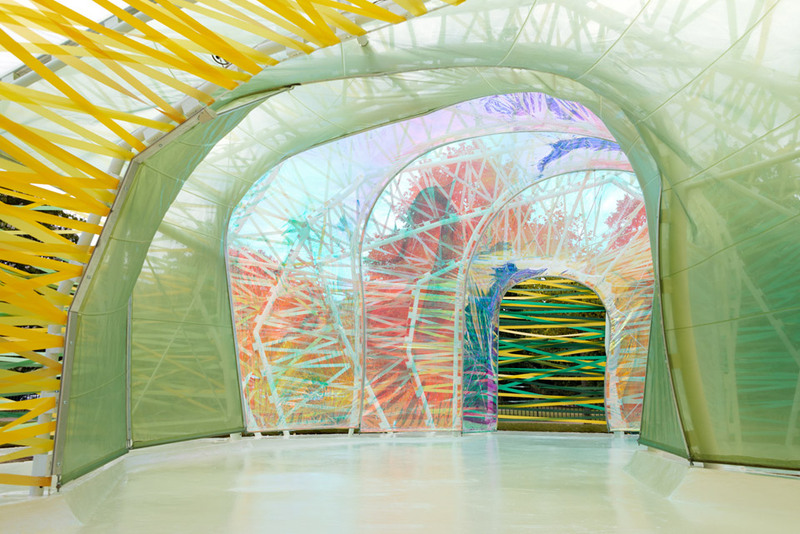 This year Serpentine Galleries celebrates the 15th anniversary of the Pavilion commission with Spanish architect Selgascano. 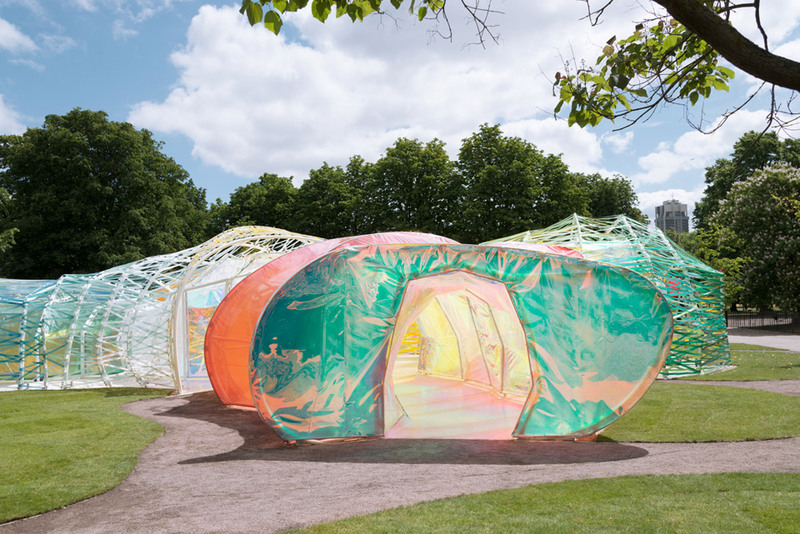 Designed by award-winning Spanish studio Selgascano, aka Jose Selgas and Lucia Cano, the Serpentine Pavilion was unveiled today and will be open to the public from Thursday 25 June 2015. The Serpentine Pavilion is one of the 10 most visited architectural and designs exhibitions in the world. It has become internationally recognised by leading architects as a place of innovation and each summer the public anticipate its installation in London's Royal Park. Established in Madrid, Spain, in 1998, Selgascano is the first Spanish team to be asked to design the pavilion. 'We sought a way to allow the public to experience architecture through simple elements: structure, light, transparency, shadows, lightness, form, sensitivity, change, surprise, colour and materials,' said Selgascano. 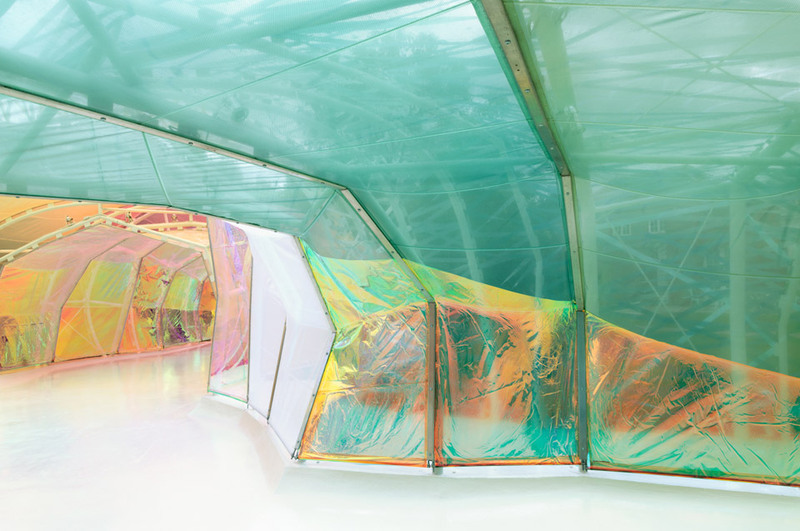 Selgascano have used a double-layered shell comprised of opaque and translucent fluorine-based plastic (ETFE) in a range of different colours, to achieve the desired effect. At the centre of the pavilion is an open area with a cafe for people to enjoy the space. 'The structure had to be - without resembling previous pavilions - a tribute to them all and a homage to all the stories told within those designs,' said Selgascano. The pavilion is open from 25 June to 18 October 2015. Take a look at the exquisite photography of this artistically playful pavilion, from London-based architectural photography studio, NAARO.